Cash-strapped SpiceJet on Thursday returned to original promoter Ajay Singh for its revival as the current owner, the crisis-hit Maran family agreed to cede control with transfer of its entire 53 per cent equity stake worth about Rs 500 crore (Rs 5 billion) in the struggling airline. Sun Group of Maran family would also infuse Rs 80 crore (Rs 800 million) in the airline, which has been battling for survival for months, after conversion of their 10 per cent warrants. Shares of the SpiceJet gained three per cent to close at Rs 18.65 on the BSE while its value was around Rs 1,000 crore (Rs 10 billion). 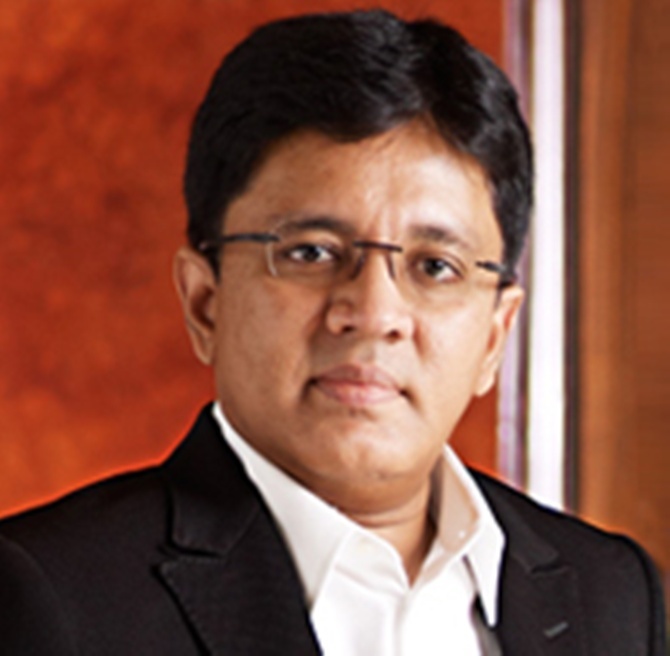 Ending weeks of uncertainty over fresh capital infusion into it, SpiceJet on Thursday said Kalanithi Maran and Kal Airways would transfer their entire ownership as well as management and control to Ajay Singh, the original founder. The proposal of Maran and Kal Airways is part of 'Scheme of Reconstruction and Revival for the takeover of ownership, management and control of SpiceJet'. Approved by SpiceJet board today, the scheme would be submitted to the Civil Aviation Ministry for its nod. The carrier has been tough times and had to even cancel flights. Based on current share price, the deal would involve transfer of shares estimated to be worth about Rs 500 crore at the market value as the entire holding of over 53 per cent would be transferred to Singh. Sun Group CFO S L Narayanan said the group would transfer the entire equity stake of over 53 per cent to Singh, but would remain an investor with holding of warrants (convertible into 10 per cent stake) in the carrier. Narayanan did not immediately offer any comment on possible open offer obligations for the deal. In case open offer is triggered under Sebi norms, then the new investors would have to acquire additional 26 per cent stake, worth about Rs 250 crore (Rs 2.5 billion), from public shareholders. However, there was no clarity on whether open offer would be triggered. Post the deal, Maran and Kal Airways would no more be classified as promoters and that status would be transferred to the new investor. SpiceJet COO Sanjiv Kapoor said the latest move is a positive development while adding that some more steps need to be followed. He also indicated that some leasing related contracts could be re-negotiated under the new ownership. The Maran family has been in trouble as the names of some family members have figured in 2G scam and other cases. According to the regulatory filing, the board has further directed the company to take further steps to implement and undertake all necessary steps including to make appropriate application before the ministry for seeking approval. "It is a positive development some more steps need to be followed... Hopefully uncertainty will be behind us soon," Sanjiv Kapoor said after meeting Civil Aviation Ministry officials. There is suddenly a control change in promoters. The new promoters would take over the management of the company, he said. He also said the carrier would submit the revival plan to the Ministry today. Faced with turbulent weather, SpiceJet's senior executives as well as potential investors have been holding parleys with Ministry officials in the last few weeks. Late last month, the crisis-hit carrier had submitted a revival plan to the Ministry but was asked to submit revised one. SpiceJet was founded in 2005 but the original promoters sold it to renowned investor Wilbur Ross and later acquired by Marans in 2010. Promoters, Maran and Kal Airways, hold 53.48 per cent stake in the BSE-listed SpiceJet while major 'public' shareholders include Tata group firm Ewart Investments (1.79 per cent) and Kalpana Singh (1.41 per cent). Retail investors hold 45.69 per cent of the company that has a total market value of Rs 1,000 crore (Rs 10 billion). Earlier, sources had said the government does not want one more airline to shut down as that would send wrong signals to the economy and the sector in particular. With the airline grounded for almost one full-day last December due to the oil companies' refusal to supply it jet fuel without cash, the Ministry had come to its rescue with requests to oil marketing firms and the Airports Authority of India (AAI) to extend the credit line to the airline for two weeks till December 31, 2014.